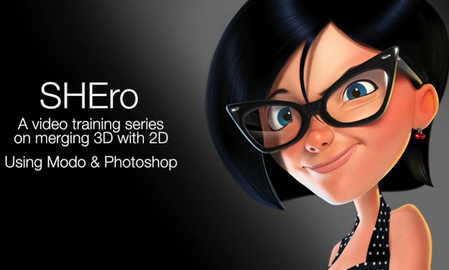 This training is about creating a cartoon character, using a mix of 3D and 2D techniques, using Modo and Photoshop, that Warner used to produce the beautiful Shero character. Morph Maps, Lighting, Cameras, Materials and Rendering. Use of Render Outputs and Fine Detail Painting. Project Contents: All the necessary files are provided.